Here, robust red wines to match a substantial holiday roast. 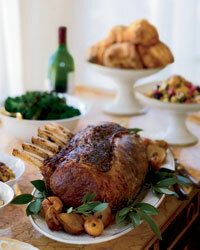 Q: What are the best Californian, Italian and French wine values to go with a holiday rib roast? A: Substantial cuts of meat like a rib roast tend to go well with equally robust red wines, especially ones that have a fair amount of tannic structure. Here are some terrific choices. The latest addition to Ravenswood's popular Vintners Blend line is a juicy, dark-fruited Petite Sirah with lots of spice on the finish. A full-throttle California Cabernet, this red combines grapes from Sonoma and Mendocino with a touch of Napa Valley fruit. It's polished enough to serve with a rib roast, but it would also be fantastic with burgers. This renowned Napa winery was established in 1933 and has focused on Cabernet Sauvignon since its inception. That expertise pays off in this lightly dusty, blackberry-rich red. 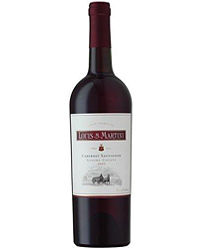 Smoky currant notes are at the core of this blend of Cabernet Sauvignon, Syrah and Merlot. It's unusual to find Napa Valley–designated wine that's this affordable and good. The Casamatta (which means "crazy house") is made from Sangiovese, the signature grape of Tuscany. 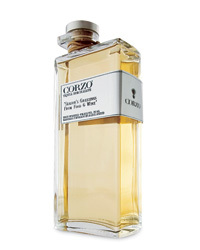 It recalls fresh, wild berries, with a touch of earthiness on the finish. 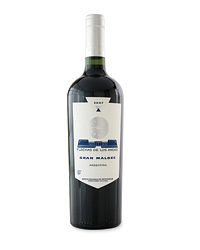 Santi is known for its luscious, expensive Amarones. This Valpolicella, typically a lighter wine, is made using the skins of Amarone grapes, which adds richness to its cherry flavors. Wines from Tuscany's Chianti Rufina zone are on a par with those from Chianti Classico. Selvapiana's basic bottling is supple and smooth in texture, with cherry and dried-herb notes. Herbal aromas in the rustic fruit here suggest the hillsides of France's Languedoc, where the wine is produced. 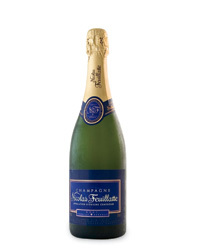 It's a blend of several southern French varieties, including Grenache and Syrah. This Rhône estate, founded in 1900, began bottling its own wines in 1972. Its focus on Grenache pays off in this vibrant, raspberry-scented red. Famed Rhône Valley winemaker Michel Chapoutier's new project in France's Côtes du Roussillon region is the source for this blackberry-peppery bottling.